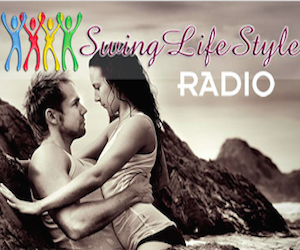 TAS Ep 34 - Swinging vs Polyamory With Sen Siren at SEXPO | The Aussie Swingers. We Swing Around the World! Ellie is still unicorning at Sexpo and chats with Sexuality Educator, Researcher and Sensuality Mentor (and Cosplay champion) Siren Vandoll about her Red Hot Pie SHARE session presentation on Swinging and Polyamory and the crossover between the two. Siren turns the tables and becomes interviewer and then gets stilettoed in the head by girlfriend Daisy.